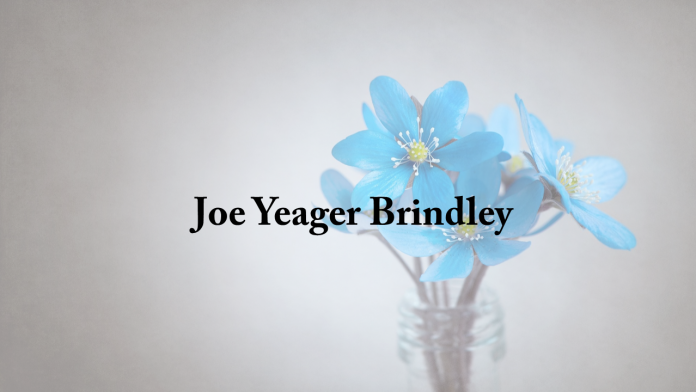 Funeral services for Joe Yeager Brindley, 87, will be Saturday Feb. 23, 2019 at Moss Service Funeral Home in Cullman, Ala. A viewing begins at 10:30 a.m. with service at noon. Burial will follow at Cullman City Cemetery. Joe passed away Sunday, Feb. 17, in Pensacola, Fla. He was born on June 7, 1931 to George Asa and Ettie Maude Brindley. He graduated from Cullman High School and obtained a Master's Degree in Business from the University of Alabama, where he played tuba in the Million Dollar Band. Joe married Frances Wamp and built a home in Cullman where they raised 2 kids, and were married for over 57 years. He worked at Brindley Market, served in the United States Army during the Korean War and then worked in civil service at Redstone Arsenal in Huntsville for 37 years before retiring. He was an athlete and a member of the Cullman County Sports Hall of Fame. He was preceded in death by his parents; son, Ron; brothers, Hugh and Ed; sisters, Mauvaline (Fritz) Schuman and Nell (Millard) Buchmann. Survivors include his wife, Fran; children, Joy Brindley and Jay Brindley; his sister, Sue (Ted) Alverson; and his granddaughter, Bella Brindley.